Distance learning as we know it today has significantly developed from the foundations of correspondence learning; students would receive course materials including textbooks and other course materials through the mail. These course materials and textbooks allowed for complete independent learning at their own pace. 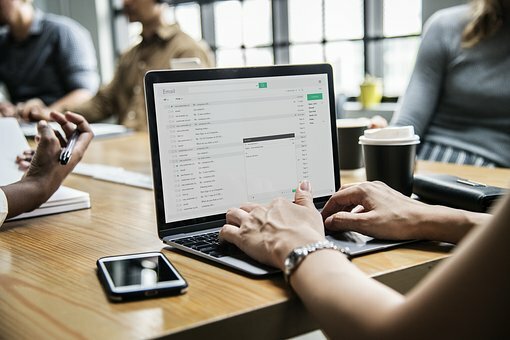 Many correspondence courses have stood the test of time and the encroachment of technology; however, they are quickly being replaced by online courses, which offer instruction and support from tutors, a multimedia educational experience and interaction with other students via various forums. Thanks to technology, the shift from the traditional classroom experience to online or distance learning only seems natural. Distance education and online learning is a field of education which uses specific tutoring and technology, with the aim of delivering course material, often on an individual basis, to students who are not physically present in a traditional educational setting such as a classroom. Distance education courses that also require a physical on-site presence for any reason (including taking examinations) have been referred to as hybrid or blended courses of study. Aside from the range of distance learning courses on offer, there are also variations in the format and the way the courses are delivered and accessed. The format depends on the purpose of the online course. It is important to know which type of distance learning course you are taking, so you can understand the time, technology and even the travel requirements that could be expected of you. The types of distance learning courses fall under the categories of either synchronous or asynchronous. Synchronous literally means ‘at the same time’, while asynchronous means ‘not at the same time’. Synchronous distance learning involves live communication either through sitting in an on-line classroom, or chatting online. Asynchronous distance learning sometimes has a set of weekly deadlines, but otherwise allows students to work at their own pace. Synchronous learning is less flexible and disrupts the student’s life to a greater extent. It is, however, the most popular format used by university distance learning departments, as it facilitates a greater amount of interaction between students and professors especially if working towards a degree or masters programme. Those courses that weigh more heavily on projects and assignments thrive in an asynchronous format because they provide the students with more time to focus on their work. With open schedule online courses, students are allotted the greatest amount of freedom. This is an asynchronous form of learning in which students are provided internet-based textbooks, mailing lists, email addresses, to complete their coursework. Blended distance learning courses combine synchronous and asynchronous learning which creates a structure in which the student is often required to meet at a specific time in a classroom or Internet chat room along with working online independently. 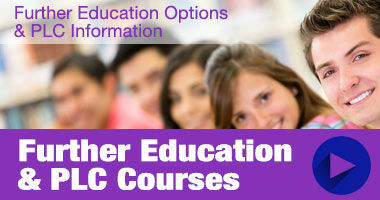 Some distance learning colleges provide students with round the clock access to eLearning for the duration of the course. The student is usually given a comprehensive course manual, along with access to numerous online resources along with being assigned a personal tutor. 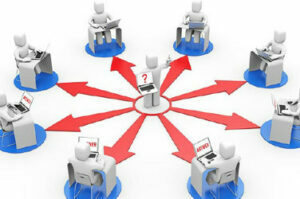 Assessments are usually uploaded online and feedback follows promptly. There is no need to feel isolated in your distance learning studies as there are many supports available to you from the provider. With easy access to tutors, questions or queries can be submitted and answered very easily with the online system. There are often also open forums where other peoples’ questions and answers can be viewed and therefore can be used as a reference for others. Many offer a record of your progress throughout you studies or track your progress for you, which you can see every time you log on. Aside from private distance learning providers, some Higher Education Institutes offer distance learning via their Adult & Continuing Education departments or have their own Centres for Distance Learning. These courses often require you to meet with your tutor and other students occasionally for workshops and tutorials. In most cases, you receive a set of self-paced, self-instructional learning materials. Learning materials are broken into modules, which you study on your own. These programmes of study can lead to various awards including: Bachelor of Arts, Bachelor of Science, Bachelor of Business and Masters Awards. They also offer additional supports including: the opportunity to study in groups, return to-study skills modules along with a day-to-day advisory and support service.